Hello --- I have a HP 8500 A909 Printer and have been using it wireless on an XP system and all worked well.I just purchased a Dell with Win7 desktop and the disc will not complete loading as it just FAILS... and then when I go to the HP web site to download the driver it fails as well ... not giving me an error code just failing. Below is an HP Site Link outlining how to install your printer. Try the instructions given and if you still have problems use the forum link which may help. HP Solution Center is part of the Full Feature software and driver package available for download on the HP website. Follow these steps to install the software. NOTE:HP suggests that you select the Recommended type of installation when prompted by the software installer. This ensures that HP Solution Center installs. If you choose a Custom type of installation, read the description of each software component carefully to avoid unintended loss of printer functionality. 1.Turn on the printer.2.Disconnect the USB cable from the printer and the computer (if you already connected it). If the printer is connected to a network, leave it connected.3.Go to HP Drivers & Downloads . If prompted, type your printer model number, click Next , and then click Drivers .4.Make sure that your operating system is selected, and then click Next . 5.Scroll down the page, and then click Driver .6. Click Download , and then follow the on-screen instructions to save the software to your computer. 7.Open the folder where the software file saved (usually Downloads ), double-click the file, and then follow the on-screen instructions to complete the installation. 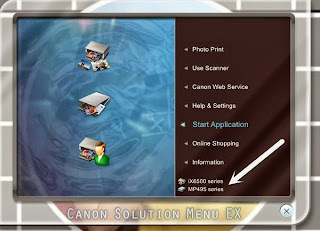 Below is a link to the software drivers for your printer. You need to make sure you choose the right OS from the drop down box eg. windows 7 32 or 64 bit whichever you have. Also when I set up wireless printers I always manually connect them to the router which avoids any problems with the initial connection. To do this use the control pad on the printer to access the network menu. (There's usually a wrench on the button you need to press). Choose the Wireless Setup Wizard and a list of available networks will be displayed.Select the SSID for your wireless network and enter the password. If you have your router set to not broadcast the SSID then you will need to scroll to the bottom of the list and choose "other" then enter the SSID manually followed by your password. The printer will then connect wirelessly you also have the option to print a test report to double check there are no errors. Now when installing the drivers choose the option to add an additional computer. Make sure the printer is plugged in with ink and paper supplies in place and follow the on screen instructions. Well if the service doesn't exist there's little we can do. At least you can use it.